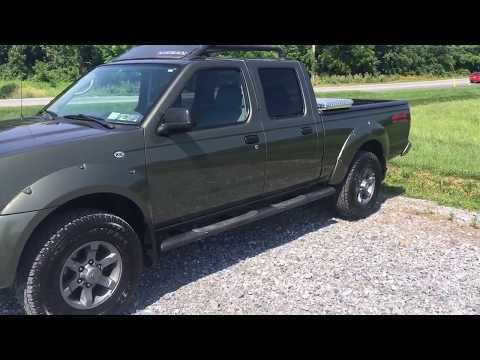 2003 Nissan frontier crew cab 4x4. Very reliable truck. The quad cab provides plenty of room for a family of 4. The 4 wheel drive is amazing when you find yourself in a bind. Fuel mileage could be better but it is an older model. Maintenance is average for a vehicle like this. The paint is in amazing condition for being 15 years old and there is no rust anywhere. Nissan Frontier is highly recommended! My Nissan Frontier has been a great vehicle for me. It has a nice design, and it is easy to drive. I feel like I can really see everything around me in that truck. It has not given me very many problems, but any that did pop up have been handled by my husband, who does all our mechanics work. I really enjoy my Frontier! On certain 4-wheel drive pickup trucks and sport utility vehicles, water may enter the rear axle housing due to inadequate sealing of the anti-lock braking system (ABS) sensor. This can result in corrosion and eventual failure of the wheel bearing. If this occurs, the wheel assembly could separate from the vehicle, increasing the risk of a crash. Dealers will inspect the rear axle for water intrusion, and all affected components will be replaced. The ABS sensor will be resealed to prevent water intrusion. The manufacturer has reported that owner notification began Jan. 13, 2003. Owners should contact Nissan at 1-800-647-7261. On certain sport utility vehicles equipped with a V6 engine, an incorrect size wheel rim for the spare tire was provided. The wheel rim does not fit properly as a replacement for a front wheel. When installed on the front of the vehicle, the wheel rim will contact the brake caliper, causing a loud rubbing noise. This could result in wear on the caliper and/or wheel rim if driving continues. Continued usage of the spare tire wheel at the front location can also result in loosening of the lug nuts and deterioration in braking performance. This could eventually cause the wheel assembly to separate form the vehicle and result in loss of control and a crash. Dealers will replace the spare tire wheel rim with a new one, and remount the spare tire on it. The manufacturer has reported that owner notification began Jan. 13, 2003. Owners should contact Nissan at 1-800-647-7261.